Magellan has just had a social chat with Pippa Grantham and Ian Williams, the brains behind the (in our humble opinion) brilliant Normandy Then and Now. Tell us about Normandy then and Now, how did you get started? During our first holiday to Normandy we stayed in Honfleur and it was soon obvious that Ian had fallen madly in love. Not with me, but with Normandy. The powerful history of the D-Day beaches, remarkable architecture of Mont-Saint Michel, beautiful views recognised from Impressionist paintings at every turn, Normandy was a revelation. 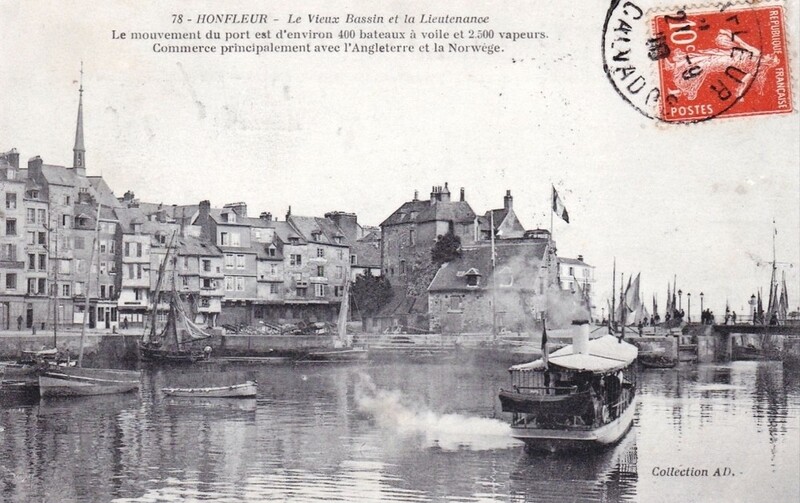 Shortly afterwards we were mooching around the flea markets north of Paris in Clignacourt when I noticed ‘Honfleur’ written on a piece of card next to a pile of old postcards. Knowing we would be back in Normandy I thought hunting down some of the old views might help keep up my interest, and it might be fun to publish them on the web. So we chose 15 of the prettiest cards. I don’t think the postcard seller made a lot of sales, she was surprised and very happy with our E20. She has no idea what she started! On our next Honfleur visit we had a lot of fun finding exactly where the photographer had stood and taking an updated photo. Then to pad it out a bit online we researched history to go with the pictures. We talked about the blog on Facebook and amazingly people started visiting it. By the time we had finished matching all the postcards we were both hooked on matching and sharing our finds. How many postcards did you uncover? Are you still finding them? 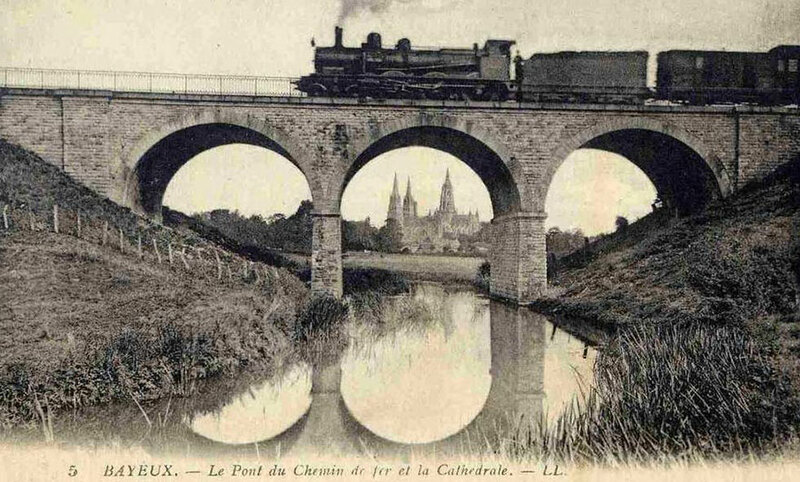 Early 20th century photographers made postcards of everything, from William the Conqueror’s chateau at Falaise to modest farms and village street scenes. Those postcards have travelled; we have found them in flea markets from Deauville, to Hastings, Amiens and even Munich. Our current collection is well over 200, we are trying (and failing) to stop buying any more until we have taken some more match photos. 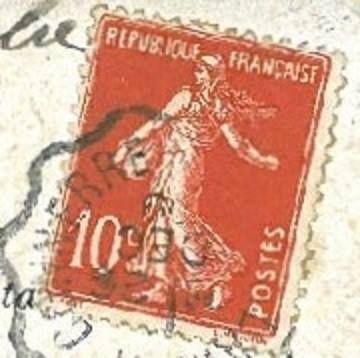 How do you delve into the story of the postcard? Where do you start? Normandy is rightly proud of its heritage and there is often local information that makes a good starting point. We are building up a small library of books that includes WW2 histories, an ancient and now hilarious copy of Cooks Tours guide to Normandy and old newspapers that reveal all sorts of stories. We dig about on the internet a lot and are very grateful to google translate for helping with some of the chewier 19th century language! Is there any danger of you running out of postcards? What would you do if that happens! We both are history fans and although neither had given much thought to postcards they have opened up a deep and wonderful world for us. We are not going to run out of cards anytime soon, thankfully. What do you like most about telling the stories – the tourism aspect, the personal aspect, the history? 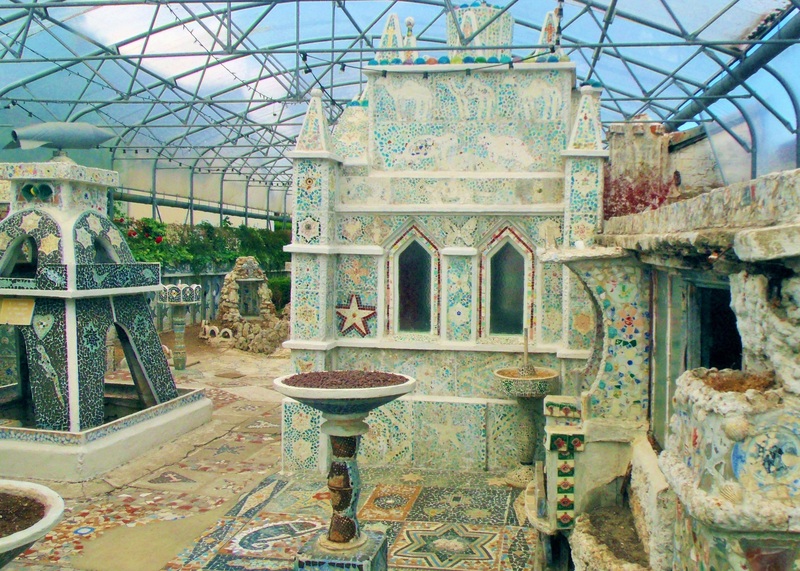 For us the blog is personal, it is a record of places we have visited, in an area we love. Equally important is the excitement of discovering a new story, nuggets of sometimes forgotten history. Thanks to some old sepia photos we have learnt about many remarkable people from the determined and tiny Matilda wife of William the Conqueror, left to rule while her husband was rampaging across England, to the bravery of soldiers fighting to liberate Normandy, and the occasional rogue like confidence trickster Christophe Rocancourt. 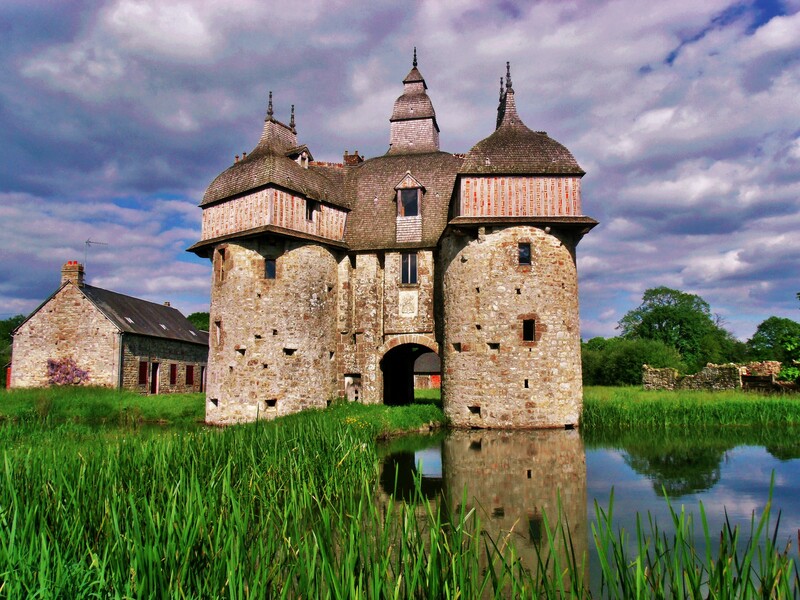 There are no dull corners if you delve deeply enough, although Normandy has an unusually rich heritage. Which social media stream works the best for you? We like Twitter as readers get directly in touch with their own stories and photos of Normandy as well as commenting on our weekly blog efforts. We do notice that following a tweet there will be a spike in readership, which is always appreciated! What is the best story you have uncovered? Although a post about an abandoned chateau in Cahaignes has had the most page views, we would say the best story is one that has been particularly important to readers. 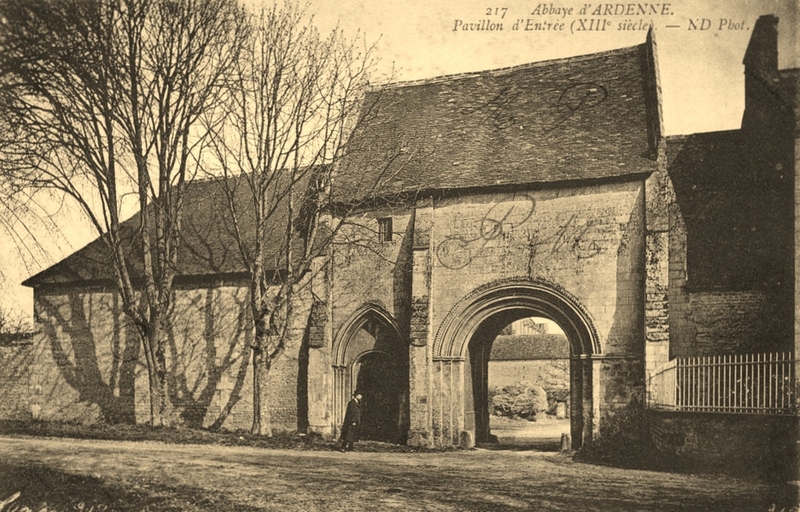 Our visit to the Abbeye d’Ardenne just outside Caen was made without and research at all. 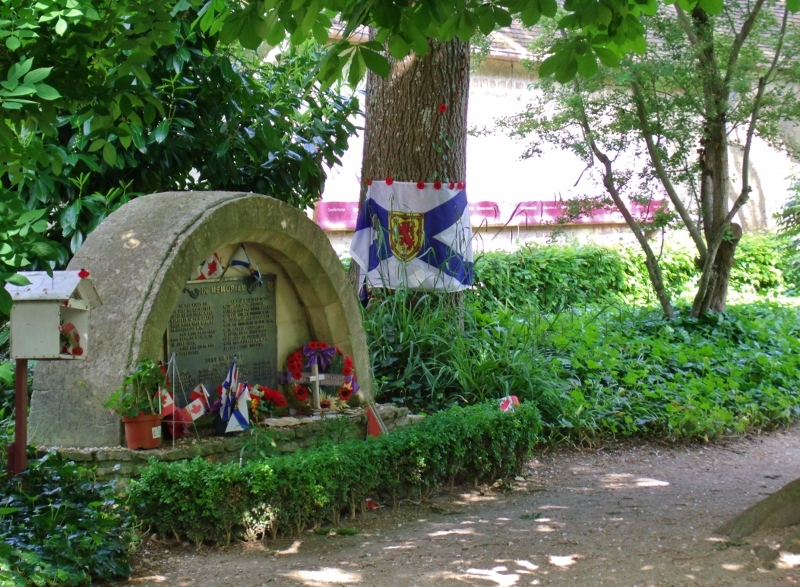 So we were surprised to find within the grounds a small garden dedicated to a group of Canadian soldiers. We soon discovered how their lives ended here unjustly, just hours after D-Day. This post has received many comments from people related to the soldiers who were killed in the Abbey. That people have taken the time to share their family histories is incredibly moving. Any tips for anyone who is looking to start at blog? Follow your passion however unfashionable or strange to others it may be! Our blog has shown us that if we find something interesting there are usually a few other people out there who do as well. A small example: It cheers us every month to see that a few dozen people have not only read our Paul Cornu post but gone on to download ‘The Engineering Analysis of the 1907 Cornu Helicopter Bicycle’. We are proud to have raised the profile of this rather forgotten genius, if only a little, and who knows perhaps the helicopter bicycle will make a come-back!